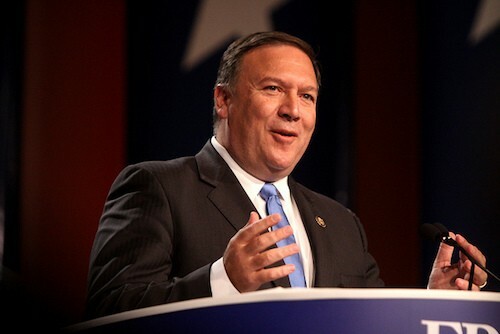 Republican congressman Mike Pompeo of Kansas, who represents Wichita, seems to be doing the bidding of the Koch Brothers once again: He has introduced legislation to prohibit the Environmental Protection Agency from issuing or enforcing a rule to improve the safety of America's most dangerous chemical plants. Wichita is the home of Koch Industries, which has been the most aggressive opponent of efforts to make these plants safer. The Obama EPA's proposed rule, issued in March, is -- in the opinion of former George W. Bush EPA head Christine Todd Whitman, experienced retired generals, the U.S. Chemical Safety Board, community and labor leaders and many others -- far too weak to adequately protect the public from the serious dangers represented by hazardous chemical facilities, which Senator Barack Obama once called "stationary weapons of mass destruction spread all across the country." But at least the rule takes some steps toward requiring chemical plant operators to address the problem. And that's apparently too much for Pompeo to tolerate. Perhaps that's because Pompeo's extensive financial and political ties to brothers David and Charles Koch have gained him the nickname "the congressman from Koch." In 2014, Koch Industries supported Congressman Pompeo in a hotly-contested GOP primary contest against former Rep. Todd Tiahrt, whom the Kochs had supported for the seat for 16 years before he made a failed run for the Senate. For the 2014 election cycle, Koch Industries was Pompeo's top donor by far, with $104,400 in individual donations, plus the maximum $10,000 contribution from the Koch political action committee. There surely would be scrutiny of a weak EPA rule, or of the government's failure to enact any rule at all, if one day we did have a major chemical catastrophe. The pesticide plant in Bhopal India, which killed 20,000 people following a 1984 accident, was owned by a U.S. company, Union Carbide. If that plant had been located in the U.S. and 20,000 people had died here, we would have fixed this problem long ago. In order to protect the American people, the EPA should be moving to strengthen the rule by requiring plant operators to move to safer technologies where feasible. Pompeo's effort to, instead, eliminate any regulation at all is the height of irresponsibility -- sacrificing public safety at the behest of special interests.